Residencia Silva is a cosy guesthouse located in Fatima, Portugal. The building has been renovated and converted into guesthouse. Guests can spend good time and feel like at home in this friendly guesthouse. The property offers free private parking. 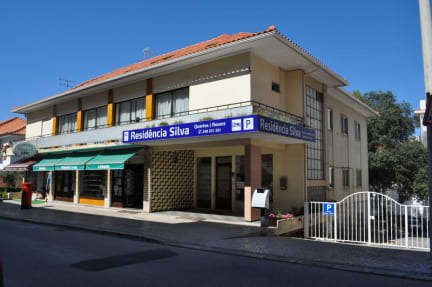 Residencia Silva is very well-located in Fatima, a few steps away from the Sanctuary of Fatima. From the property, guests will be able to hear the prayers at the time of the ceremonies. The guesthouse is surrounded by shops, cafes and restaurants. 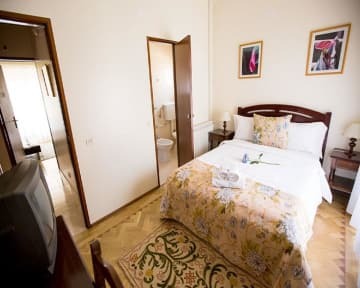 Residencia Silva offers comfortable private double rooms with private bathroom. Each room is simply decorated and offers free wi-fi access, TV and heating. Guests can enjoy the view of the Sanctuary. Payment types accepted at this property: cash, credit card, debit card. No 24 hour reception desk.